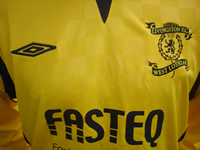 Livingston Football Club are delighted to announce a major new sponsorship deal with West Lothian supply chain solutions company Fasteq. Based in Linlithgow, Fasteq manage the supply of fasteners and components to the engineering, automotive and aerospace and defence industries within Scotland and the rest of the UK. They have committed to build on an existing, long term commercial relationship and become the club's main sponsor for season 2009-10, with a further option for 2010-11. "We're absolutely delighted to unveil Fasteq as our new main sponsor," commented Ged Nixon, the chief executive of Livingston FC. "Fasteq have shown considerable faith in the new management of the club and it's something we greatly appreciate, especially considering the challenging conditions in the wider economy. "They are a local company, well respected and successful in their field, and we are looking forward to strengthening our relationship with them over the next year and beyond." Rona Haig, Fasteq's Sales and Marketing Manager added: "Fasteq have had a long standing association with Livingston, having started up in the town ten years ago. "We've been regular visitors to Almondvale since then and have spent many enjoyable Saturday afternoons entertaining our customers there. "We're delighted to be able to reinforce our support for the club at this very important time, and are looking forward to joining supporters and the local community in backing the team to success this season." 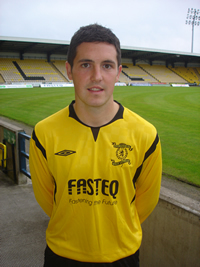 In their new role as main sponsor, Fasteq's livery will adorn the front of Livingston's all new playing kits. The new kits will supplied by Edinburgh-based football kit specialists Football Nation, in partnership with Umbro. 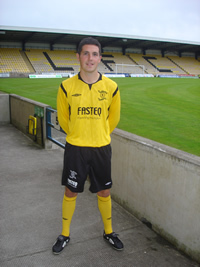 Steven Dow, director of Football Nation said: "We are more than happy to be renewing our partnership with Livingston FC. 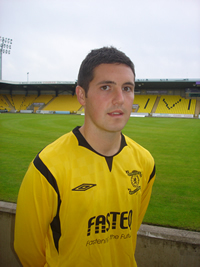 "We've worked along with Umbro - an internationally renowned football brand - to provide Livingston with quality playing and training kit which I am sure will prove popular with players and fans alike."